For breakfast I made us a juice from some of my frozen cubes. 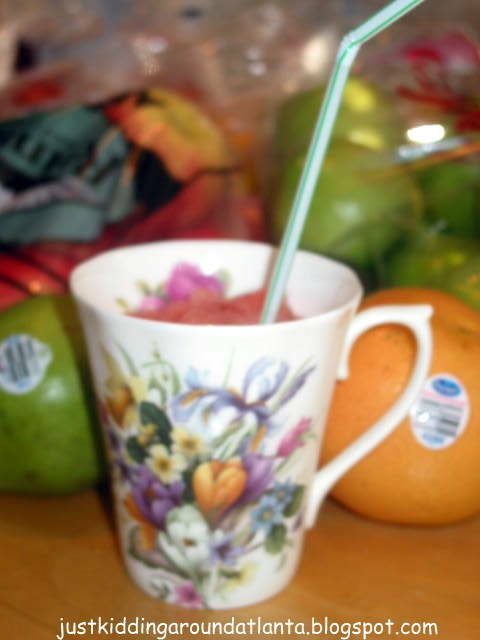 I blended them to make a slushie - it has been so hot here, and that seemed to be a refreshing choice. I used watermelon, pineapple & orange juices. It was very good! 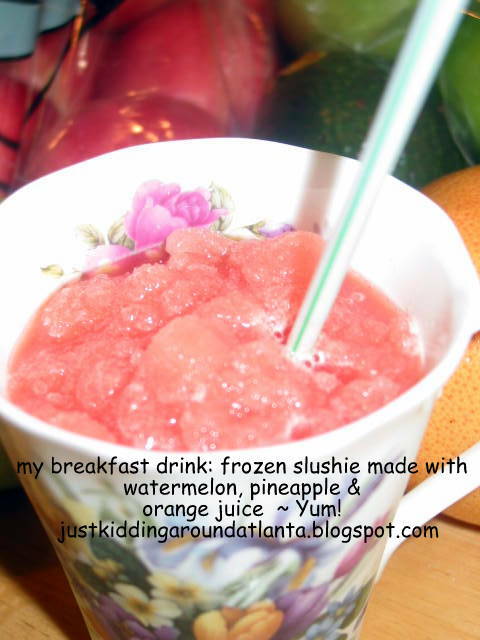 Katie, Randy & I all had that for breakfast. 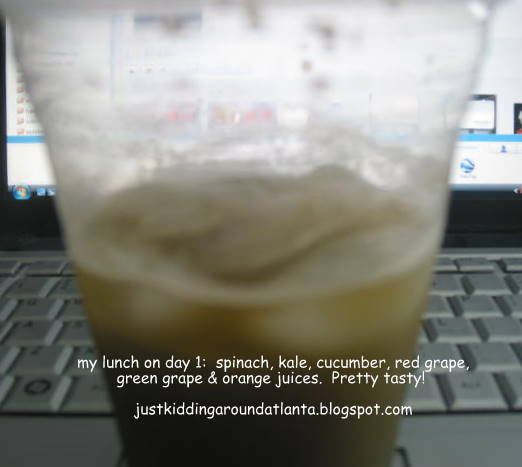 For lunch, I made a juice of: kale, spinach, cucumber, red grape, green grape & orange juices. It was pretty good - served it over ice. RR was at boy scouts with David, so Katie & I drank this at about 2. 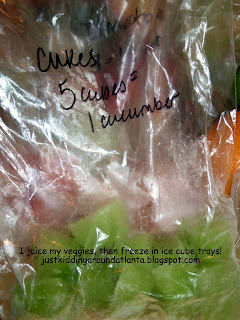 Oh, and here are a couple picks of the juice cubes I'm freezing....that is really working out well, because I don't want to juice every day. 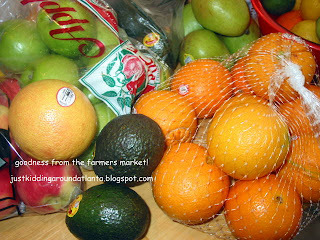 We ordered our Vitamix yesterday, I can't wait til it arrives!! I'll write again tomorrow....hope you are having a wonderful Sunday! 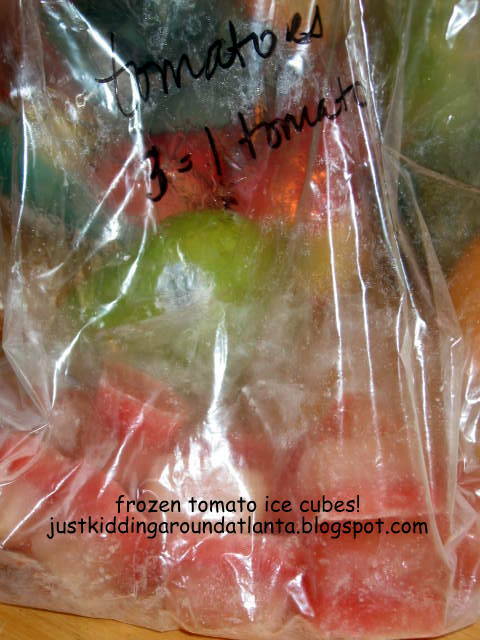 That is a great idea for freezing the juice.